Pay only P 3,718 a Month for 12 months. Or pay only P 7,042 a Month for 6 months. ASUS P3B Ultra-Short-Throw Battery-Powered Projector is a lightweight and compact projector with a footprint about the size of a CD case, so it fits easily into a briefcase or bag. 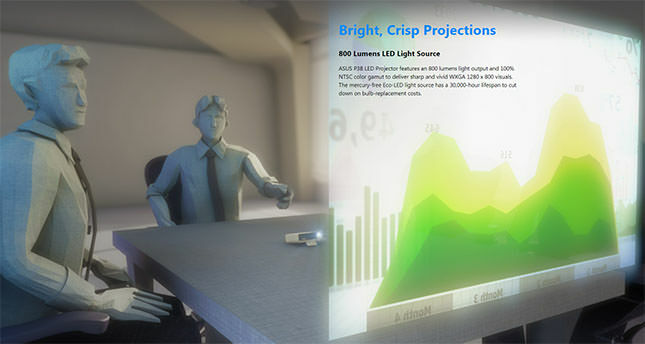 The brightest battery-powered portable LED projector available, P3B provides crisp WXGA 1280 x 800 resolution images with a maximum brightness of 800 lumens. Its built-in rechargeable battery gives you up to 3 hours of cable-free projection time and also doubles as a 12,000mAh power bank for charging mobile devices. A ultra-short-throw lens lets the P3B project images measuring from 25 inches (0.45m) to 200 inches (3.4m) at very close range. 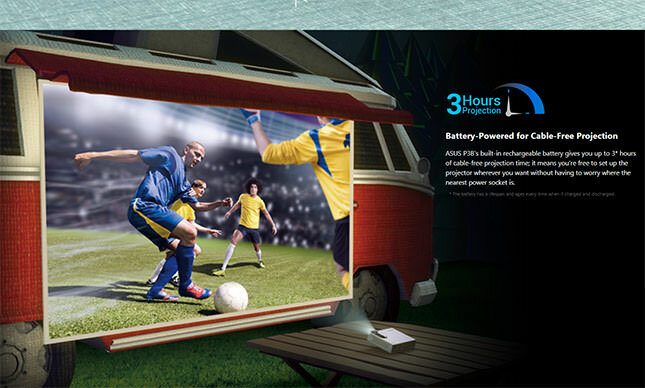 The P3B is designed to be used anywhere  outdoors while camping, in a home theater, or in small meeting rooms. 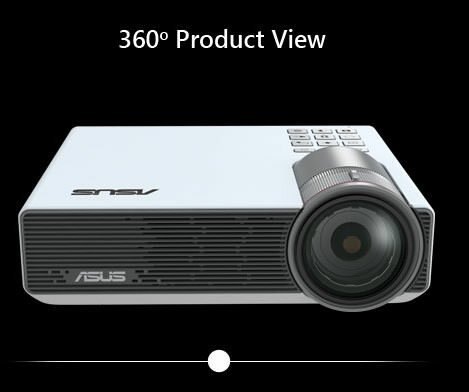 ASUS P3B LED Projector features an 800 lumens light output and 100% NTSC color gamut to deliver sharp and vivid WXGA 1280 x 800 visuals. The mercury-free Eco-LED light source has a 30,000-hour lifespan to cut down on bulb-replacement costs. 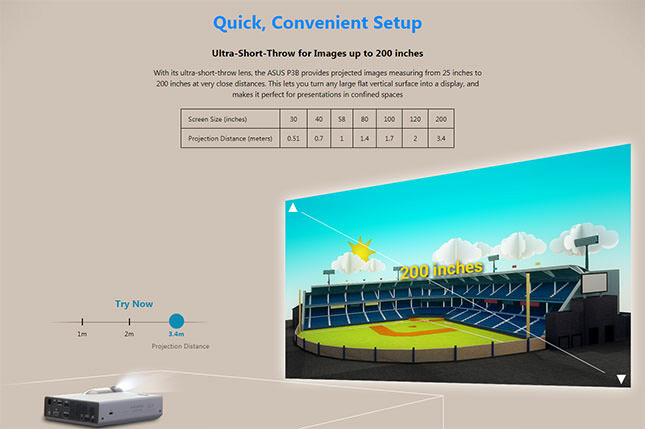 An Auto Keystone Correction feature ensures you get perfect projections by detecting the ASUS P3B's orientation and automatically correcting distorted images from angled projections. 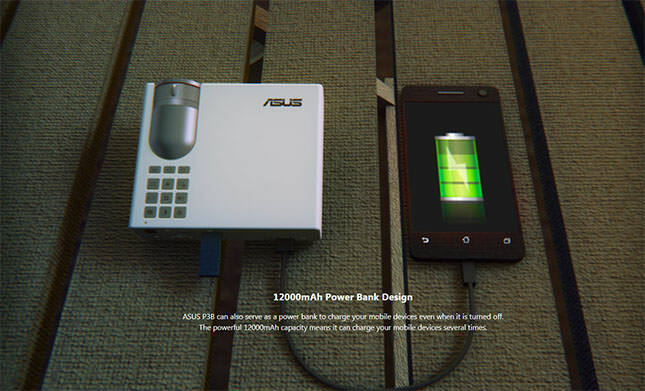 To further lighten your load, it works with most* ASUS notebook AC power adapters (≧65W). One notebook and projector sharing a single power adapter makes it the ideal business presentation combo or multimedia platform. * Power adapter compatibility is subject to change without notice. Please kindly check your power adapter before purchase. 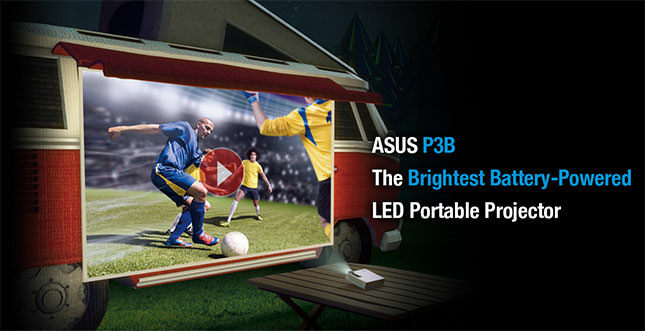 ASUS P3B has an instant On/Off capability as there is no need for the LED light source to warm up or cool down. This means your ideas, your videos, or your pictures can be shared in a jiffy.